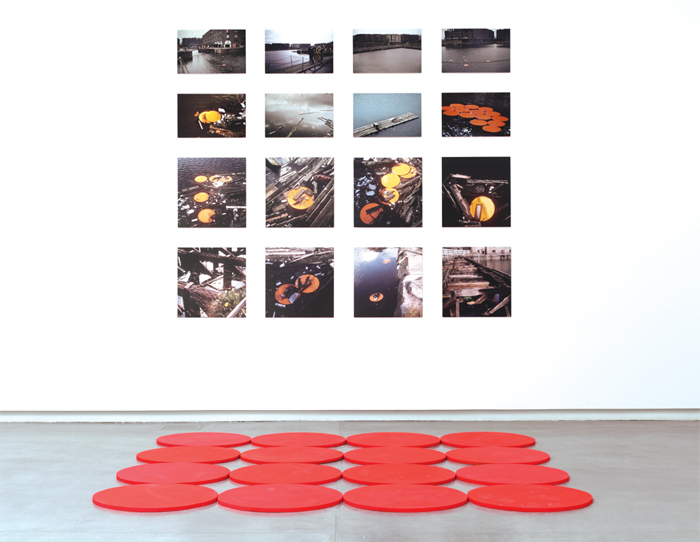 Rasheed Araeen, Chakras, 1969–70, sixteen C-prints, sixteen wood disks. Installation view. Rasheed Araeen’s “Before and After Minimalism” pulls viewers through the initial twenty years of his career, with drawings, paintings, and sculptures from 1953 through 1973; it also includes a new work, Sharjah Blues, 2014, which was commissioned especially for the show. Araeen’s first major exhibition in the Middle East is thus neither a dutiful retrospective nor a comprehensive survey. Rather, the show reads like a highly compelling story hinging, by necessity, on spare language and a dramatically pared-down plot.